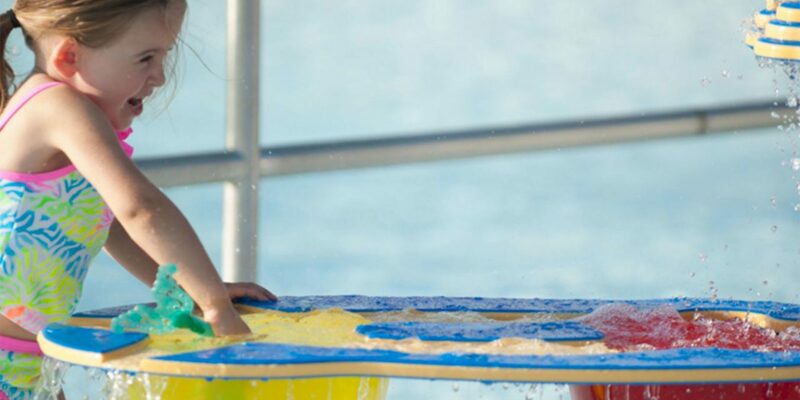 We know toddlers aren’t seeking thrill rides, wave pools and vertical-drop waterslides when it comes to water parks; they just want to splash around. After all, isn’t the water activity table always the most popular? 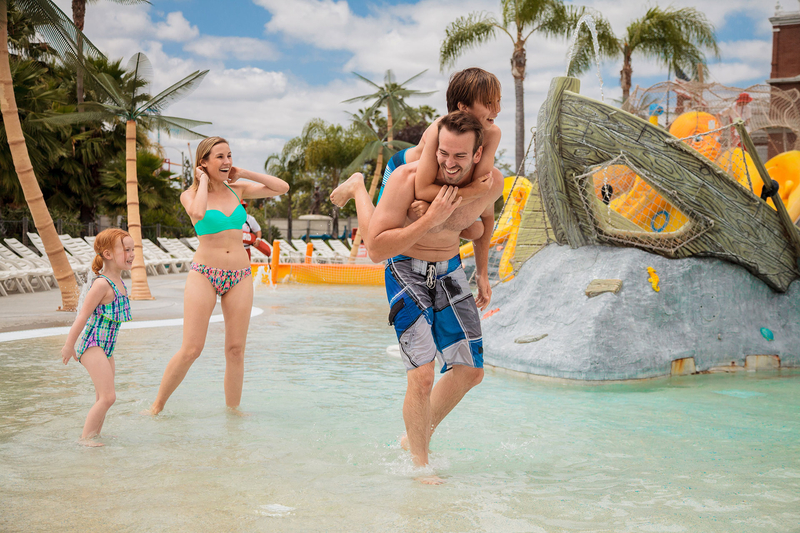 These are our picks for the best water parks for toddlers. 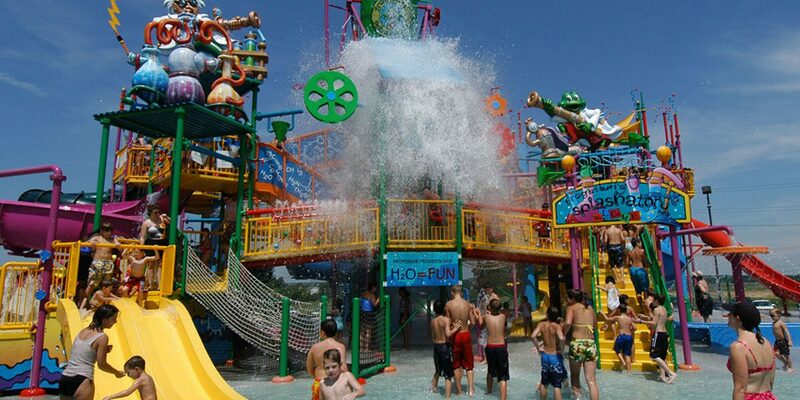 Located in Sandusky, Ohio -- the land of water parks and amusement rides -- Castaway Bay Resort is a great outdoor water park for toddlers. The large water park offers young swimmers the Toddler's Tide Pool, which has a depth of 18 inches, and is like a water playground. In this section of the park, families will find a toddler-friendly tandem slide, spray pipes and gadgets that will make toddlers giggle and loads of sea creatures that were made for climbing. Those who wish to splash in the tide pool must be less than 52 inches tall. 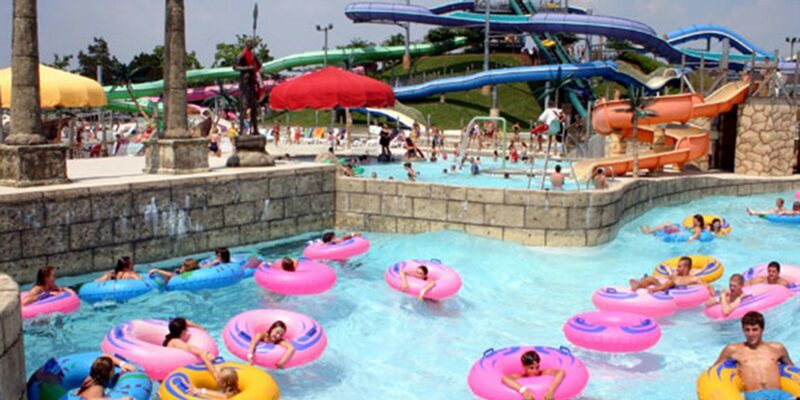 Located less than 30 minutes from Indianapolis, this toddler water park offers it all. The Lily Pad Crossing is perfect for kids over 48 inches tall, and infants and toddlers will love the splash and play areas designed specifically for them. There is even a sand play area for toddlers at this water park. If your little guy is new to swimming, don't worry because swimming lessons are offered at Freedom Springs, too. The mommy-and-me lessons are offered several times throughout the summer. Swim diapers or tight, plastic pants over diapers are required. Bonus: An added bonus at Freedom Springs is that there are adult-only and dogs-only event days at the park, too. Your furry kid will love Puppy Poolooza. 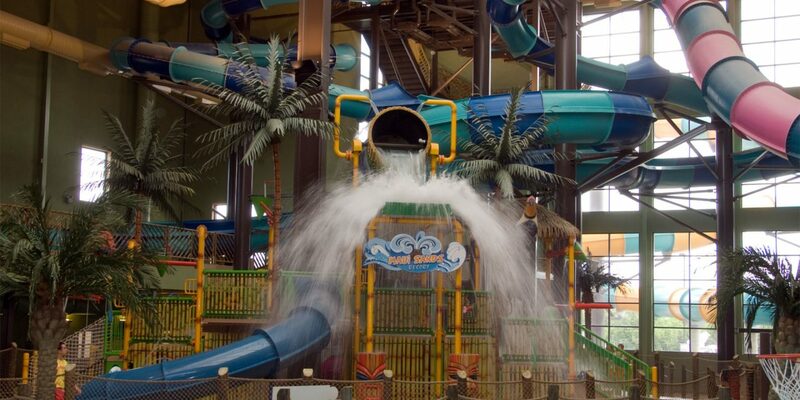 If it happens to be a rainy or a winter day when you are visiting Cedar Point or Sandusky, Ohio, then Maui Sands Resort and Indoor Waterpark is the place for your toddler. This Hawaiian-themed water park offers toddlers the kiddie pool called Pineapple Bay, where there is a slide that is just the right size. Height requirements at Pineapple Bay are for those less than 52 inches. If you have a toddler who wants to hang with the older kids, parents can accompany young kids to Coconut Cove, where there is a water basketball hoop. Located about 20 minutes from Grapevine, Texas, this outdoor toddler water park features the Tadpole Swimming Hole, where your little tadpole can slide down a frog's back or crawl over an alligator. They can balance on lily pads and nets and splash down three smaller waterslides. Parents can even share in the fun and slide down one waterslide together with their child. Kids must be under 48 inches tall to be welcome at this swimming hole. Swim diapers are required here, and outside Coast Guard approved life jackets are permitted. If your kids need a break from the beach, head to this safari water park for toddlers at Jungle Jim's. The younger kids will love the kiddie pool and spray-ground, where parents should beware of being an intended target! The zero-entry pools, splash pad and pirate ship are great for toddlers to investigate. Swim diapers are required. 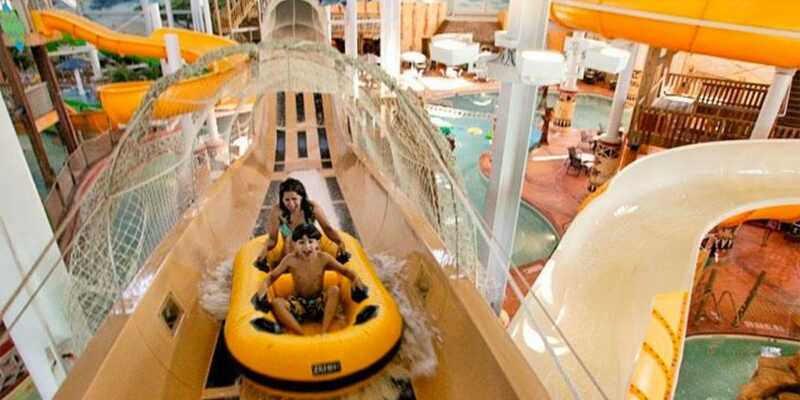 All of the Kalahari waterparks (Wisconsin, Pennsylvania, Ohio and soon, Texas) are ideal indoor water parks for toddlers and families. The Wisconsin Dells park features a little one's section filled with smaller slides in Tiko's Watering Hole and Leopard's Lair and the lazy river is always a blast for kids looking to lounge. Leopard's Lair, with a water depth of zero to 12 inches, has net crawls and water guns perfect for splashing unsuspecting parents. Children under 48 inches tall are permitted in these areas and must be accompanied by an adult. Swim diapers are required. Located about 15 minutes north of West Palm Beach, this water park for toddlers features a new pint-sized section. Barefootin' Bay features water sprayers, three small slides and giant Pineapple bucket that will be sure to get everyone who stands below soaked. If you're looking for even more splashes, toddlers (and those who are a few years older) can head over to Splish Splash Lagoon. This lagoon features floating swamp animals, three slides (one that parents can ride along with kids), a fort, water shooting cannons and a shipwreck. 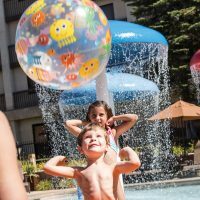 There are numerous Great Wolf Lodges across the U.S. and Canada, all of which offer great water parks for toddlers. 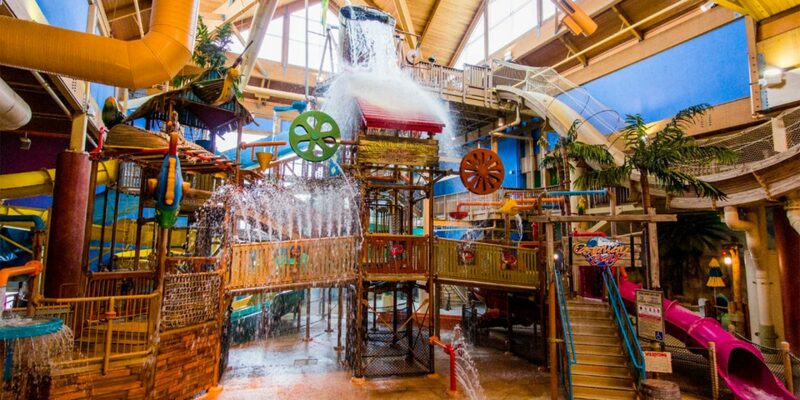 The Pocono Mountains location offers toddlers their very own water tree fort. Fort Mackenzie is a tree house filled with splashing opportunities. Kids will want to keep an ear out for the fort's bell too, because when it rings, a giant bucket of water will be about to fall! The zero-entry area called Cub Paw Pool will have toddlers squealing with delight as they slide down the small toddler-sized slides. Or they can hop on the stationary Jet skis and spray friends with the water cannons. The Cub Paw Pool has a water depth from zero to 18 inches. Children must be under 52 inches and accompanied by a companion. Swim diapers are required. Disney knows how to do water parks, and they always keep toddlers happy. Typhoon Lagoon is one of the best water parks for toddlers because it offers sections of the park like Bay Slides, Castaway Creek and Ketchakiddee Creek. There are side-by-side body slides at Bay Slides, which is a mild ride for smaller tots; no big kids are allowed. Parents can wait in the pool at the bottom and catch their toddler, too. Toddlers must be under 48-inches tall to enter Ketchakiddee Creek, where they will find lots of water activities. Small slides, squirting seals and elephants, a mini inner tube ride, crawl chutes, water cannons and waterfalls fill this toddler water park. Parents must supervise children at all times in Ketchakiddee Creek. 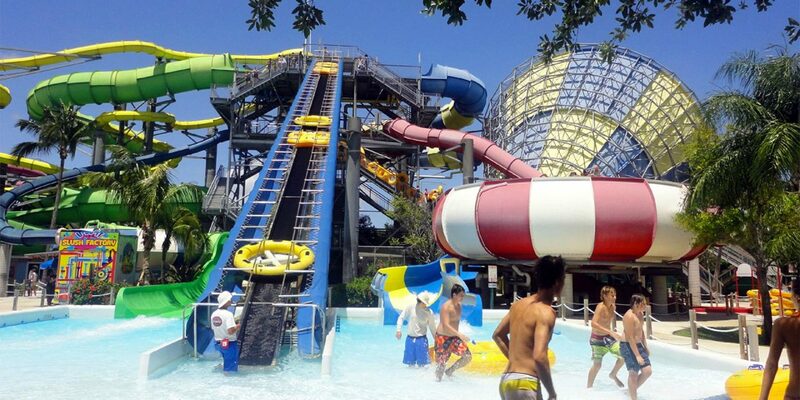 Situated just down the street from Knott's Berry Farm, this toddler water park features Gremmie Lagoon. 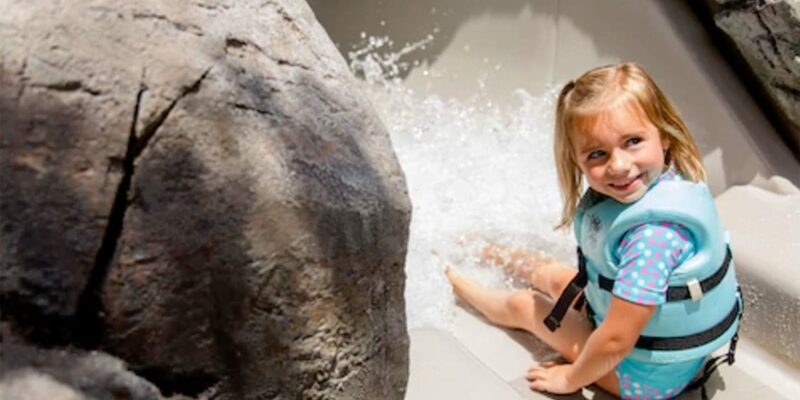 Toddlers will find themselves among the sea life at this interactive water playground. Tots can climb over turtles, crabs, whales and more and then explore the giant interactive octopus, where there are spray cannons and pint-sized slides. The water depth is 1 foot in Gremmie Lagoon and children must be under 54 inches tall to enjoy the water fun.